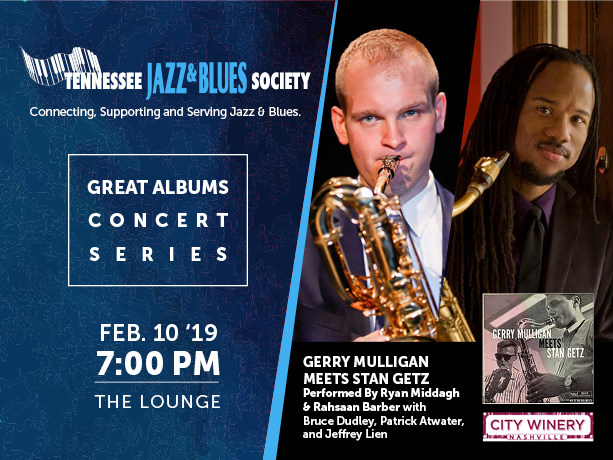 The Great Albums concert series continues with “Gerry Mulligan Meets Stan Getz”performed by Ryan Middagh and Rahsaan Barber. Sunday, February 10, 2019, in The Lounge at City Winery Nashville. Doors open at 5 pm and the show begins at 7 pm. Tickets are $20 and can be purchased from City Winery’s website soon. 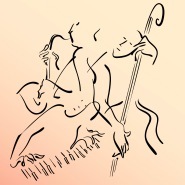 Ryan & Rahsaan will be joined by pianist Bruce Dudley, bassist Patrick Atwater and drummer Jeffery Lien.